NMM 5620. Viola by Kurt Lothar Meisel (1929-2011), Lakewood, Ohio, 1955. Serial no. 3. 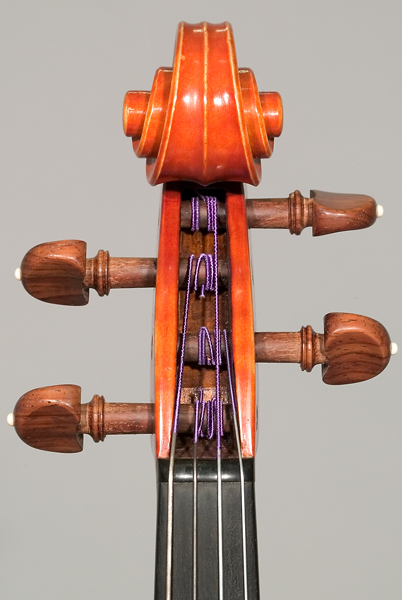 Tertis model. 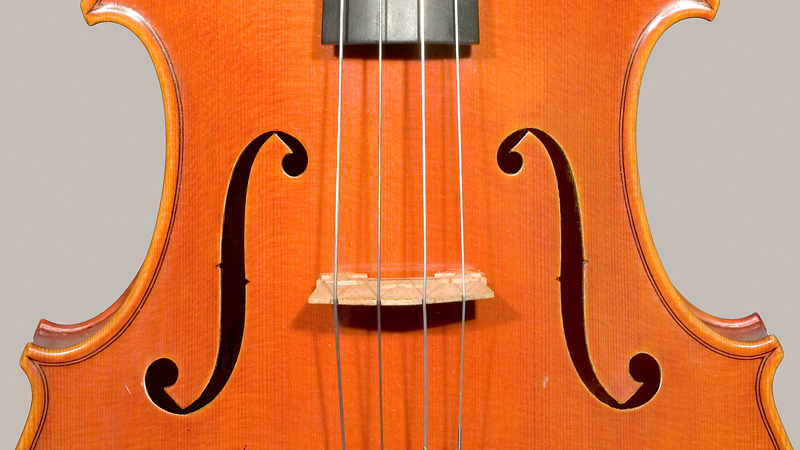 Arthur Richardson (1882-1956), a luthier from Crediton in Devonshire, designed and developed the first Tertis model violas in 1937, for the British performer, Lionel Tertis (1876-1975). 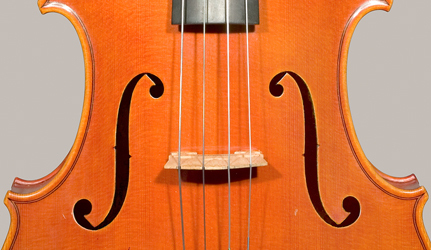 It was in 1952, while working in the violin shop of Sidney Cecil Evans in Birmingham, that Lothar was introduced to Tertis. Working from Richardson's plans, Lothar made his first Tertis model viola before moving with his parents to Ohio. Lothar's second and third Tertis model instruments (NMM 5620 and 5621) were made after the Meisel's settled in Lakewood, Ohio. Gift of Neal and Karin (Meisel) Steffenson, Owatonna, 1993. 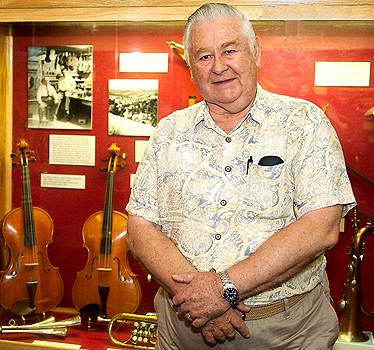 Lothar Meisel stands in front of display case featuring his two Tertis model violas in the Cutler Gallery at the NMM (2003). Label text in Gothic lettering: [bird on branch] Lothar Meisel [KLM monogram over lyre] / violinmaker from Klingenthal / Germany / Lakewood-Ohio 1955 / No. 3 / TERTIS-MODEL. The bird on the label represents the family branch, known as the "Bird" Meisels. Top:� two-piece, quarter-cut spruce: fine to medium grain. 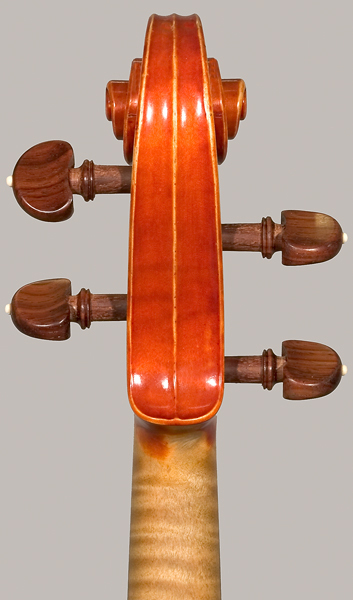 Back:� two-piece, quarter-cut maple from the Carpathian area (Romania): medium curl descending slightly from center seam. Ribs, Scroll:� maple, similar to back. Varnish:� golden brown, lightly shaded. Lit. : K. Lothar Meisel with Betty Vos, The Meisel Family Violin Makers: Klingenthal, Vogtland, Saxony (Ely, Minnesota: Singing River Publications, Inc., 2007).